Between 1888 and 1891, Émile Bernard together with Gauguin was the creator of Synthetism, the tendency that marked a historical turn in European painting after Impressionism. At that time, his religious beliefs blended with his interest as a Symbolist artist in the supernatural. Bernard painted numerous compositions based on the Gospels, from The Adoration of the Magi to Agony in the Garden and other scenes from the Passion of Christ. 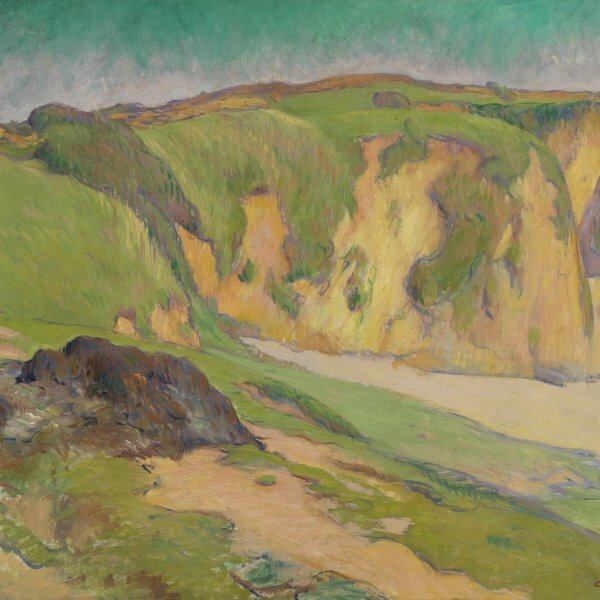 These compositions would immediately capture the imagination of Maurice Denis, Sérusier, Ranson and other painters from the Nabis group. 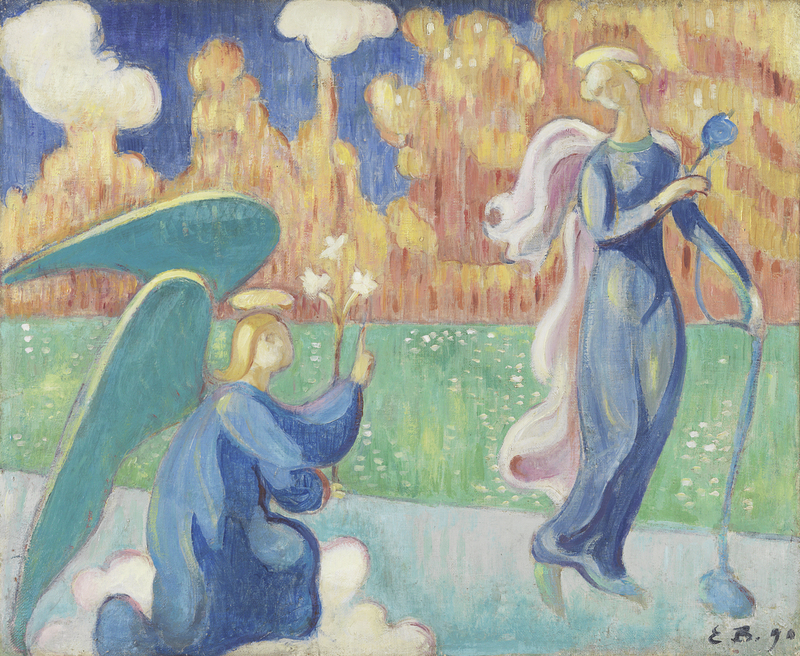 However, Bernard's (and Gauguin's) religious paintings also provoked less enthusiastic reactions. In the series of letters between Bernard and Van Gogh there is clear evidence of the reservations inspired in the Dutch painter by this part of his friend's work. In December 1889, Van Gogh wrote from the asylum in Saint-Rémy of Bernard's The Annunciation: "An Annunciation of what? I can see very elegant angels... but after the first impression I ask myself if this is a mystification, and these figures mean nothing to me." In the same letter he stated that he found Bernard's religious painting "somewhat false and affected» and concluded: "So, my friend, the religious paintings are not a success." The Annunciation was one of Bernard's (and Denis') favourite themes in his religious paintings not only due to the renewed emphasis on the Virgin within fin-de-siècle Catholicism, but also as a homage to the Italian Masters of the Early Renaissance. Bernard's approach showed a knowledge of traditional iconography and a deliberately archaic approach. The Apocryphal Gospel of Saint James refers to the fact that when the archangel announced that Mary would be the mother of the Messiah she was spinning the temple veil. This is alluded to in the spindle which she holds and which is also traditionally a metaphor for pregnancy. Gabriel, kneeling on the cloud, raises his fingers in greeting while holding a stem of lilies as a symbol of purity. The scene itself is inspired by the Italian tradition of painting: while Flemish and German artists traditionally portrayed The Annunciation indoors, Italians often located it in a garden thus linking typologically the announcement of the Redemption with Eden, the site of the Fall. The handling of the paint is typical of Bernard's synthetist period, where he and Gauguin adopted Cézanne's parallel brushstrokes. 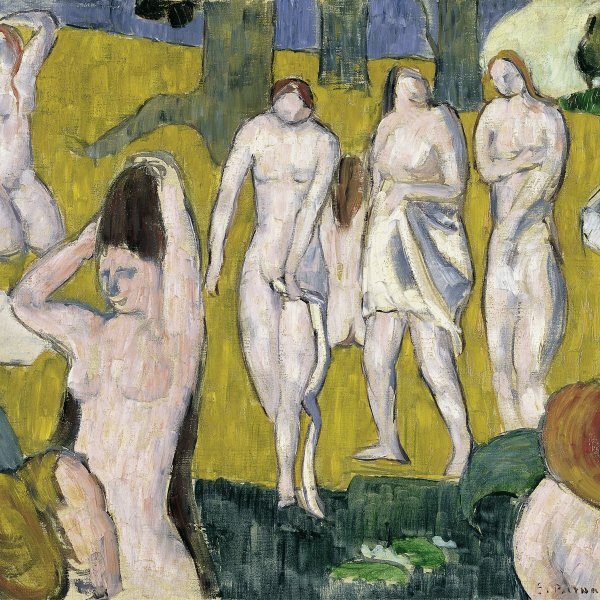 However, this is combined with an approach completely unknown to Cézanne in its use of sinuous outlines and lineal arabesques that foreshadow the decorative concepts of art nouveau.